Hi, I'm not sure if using EasyTune and Hwinfo at the same time has any interferences. 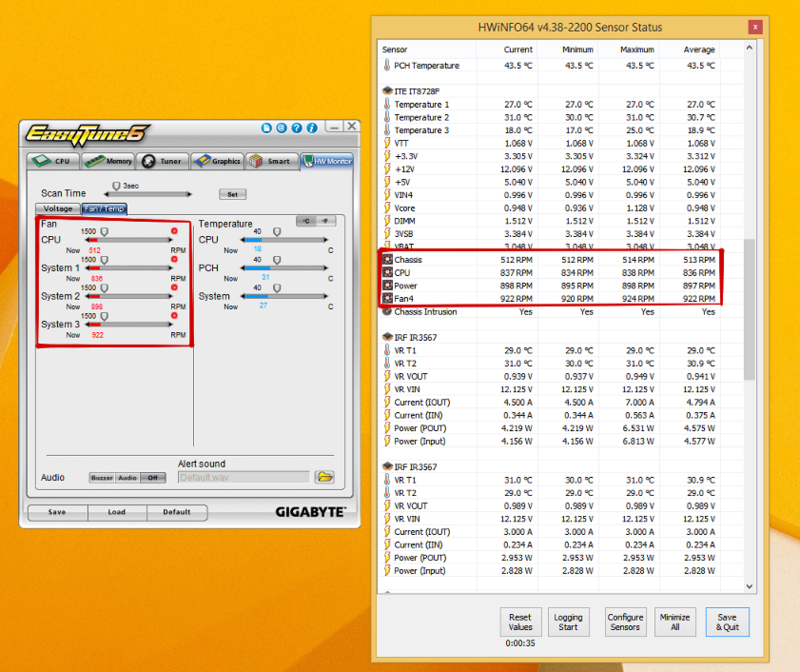 On EasyTune6 it shows the CPU fan is 512 RPM, System 1/2 are intake fans and I think System 3 is exhaust? On Hwinfo I think the labels Chassis and CPU are the wrong way round? I have seen printscreen of Hwinfo where the users rename the labels. Can I just rename the Chassis to CPU if it is incorrect? Yes, you can rename any label by right-clicking on the item. Nevertheless, HWiNFO should display correct labels by default, so I'd like to fix this. Which mainboard do you have ? Hi, Martin, it's a Gigabyte G1 Sniper M3 (BIOS: F10f). Thanks. Thanks. I'll fix the fan and temperature sensor labels in the next build released.